India is the world’s second-most populous country with more than 1.3 billion people and is the birthplace of four major world religions: Hinduism, Buddhism, Sikhism, and Jainism. It is also home to about 180 million Muslims—only Indonesia and Pakistan have more. A small Christian minority includes about 30 million people. An officially secular nation with thousands of ethnic groups and 22 official languages, independent India has a long tradition of religious tolerance (with periodic and sometimes serious lapses). Religious freedom is explicitly protected under its constitution. Hindus account for a vast majority (nearly four-fifths) of the country’s populace. Hindu nationalism has been a rising political force in recent decades, by many accounts eroding India’s secular nature and leading to new assaults on the country’s religious freedoms. 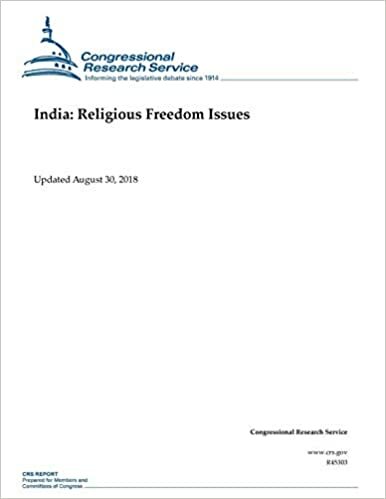 The 2014 national election victory of the Bharatiya Janata Party (Indian Peoples’ Party or BJP) brought newly acute attention to the issue of religious freedom in India. Tracing its origins to a political party created in 1951 in collaboration with the Hindu nationalist Rashtriya Swayamsevak Sangh (National Volunteer Organization or RSS), the BJP has since gone on to win control of numerous state governments, including in Uttar Pradesh, the country’s most populous state with more than 200 million residents, one-fifth of them Muslim. The BJP’s leader, Prime Minister Narendra Modi, is a self-avowed Hindu nationalist and lifelong RSS member with a controversial past: In 2002, during his 13-year tenure as chief minister of the Gujarat state, large-scale anti-Muslim rioting there left more than 1,000 people dead, and Modi faced accusations of complicity and/or inaction (he was later formally exculpated). In 2005, Modi was denied a U.S. visa under a rarely-used law barring entry for foreign government officials found to be complicit in severe violations of religious freedom, and he had no official contacts with the U.S. government until 2013.